While birding along the 6-mile entrance road to Cockscomb Basin Wildlife Sanctuary on the morning of January 15, I saw my 1,000th life bird, a White-necked Puffbird. 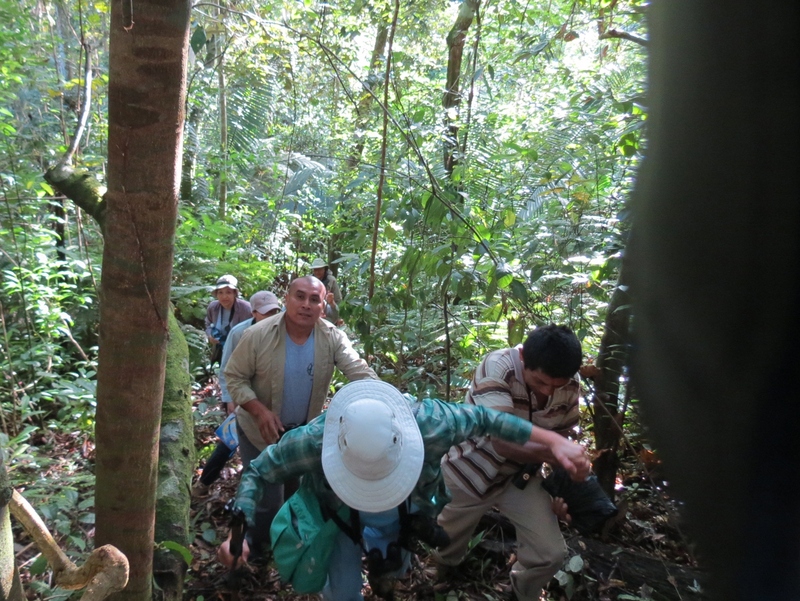 Park director Nicasio Coc had arranged for Frederico, a senior guide, to accompany us on our way in to the park. 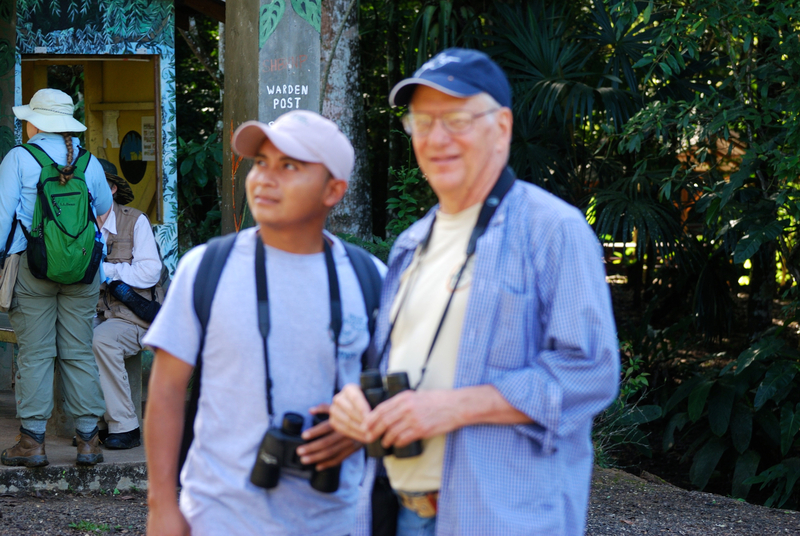 And Frederico was finding the birds for us – Montezuma Oropendola, Chestnut-colored Woodpecker, Slaty-tailed Trogon, Hook-billed Kite, and many more. I had 10 life birds before we even reached the park boundary. The highlight for Jeremy that morning was not birds, though, but sliding into a ditch. He had kindly gone back to get our van a few times while the rest of us continued to walk along the road birding. At one point, he tried his best to get our van up a muddy hill, but on the third attempt up, the van slid back – right into the ditch. 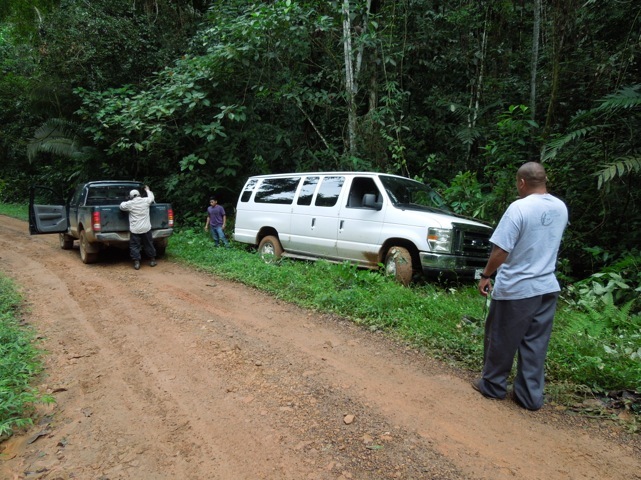 Fortunately, Jeremy was able to hitch a ride to the Visitor Center and our Belize Audubon friends came back with a truck to pull our van back on the road. 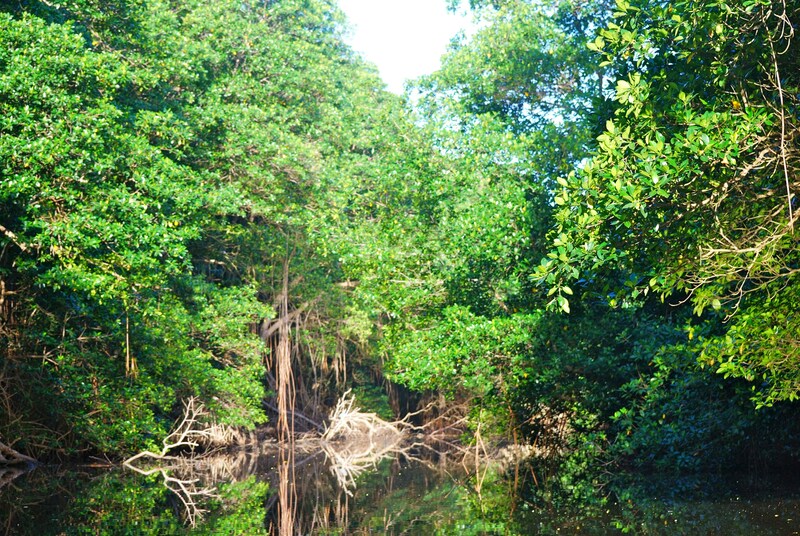 Cockscomb Basin Wildlife Sanctuary is most well known as the world’s first Jaguar preserve. 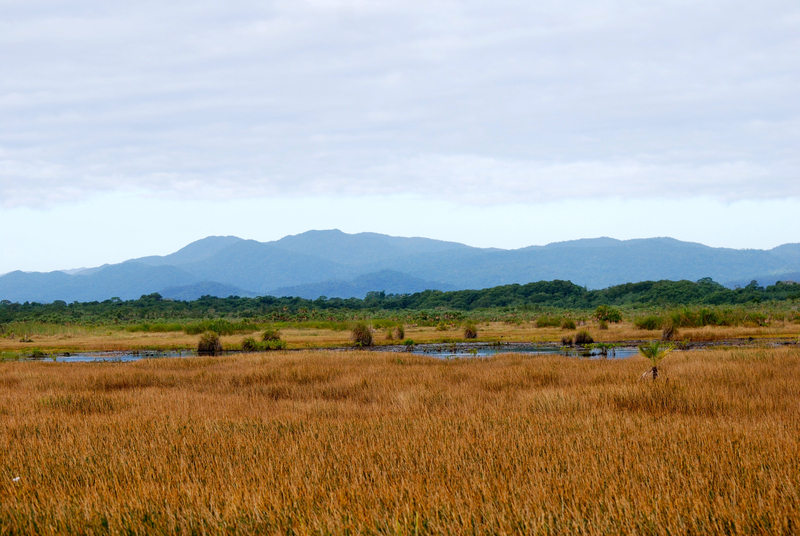 It also protects the upper watersheds of important river systems and is home to hundreds of species of plants, birds, and other animals. Jaguars are not seen often, but one of the Audubon staffers told us about separate sightings of an adult male and a female with a young cub just a few weeks ago. 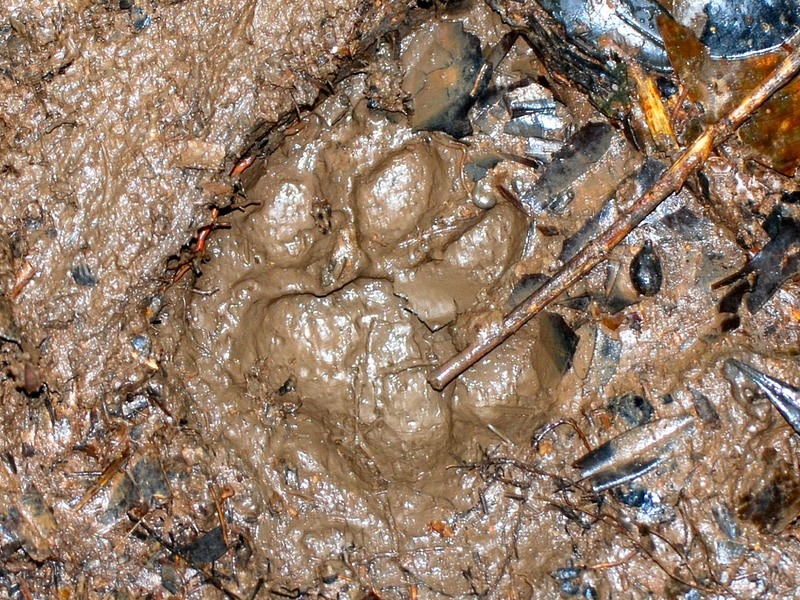 We did not see a Jaguar, but we did find a paw print. After a quick look around the Visitor Center, most of us headed off to the banding station that is part of Ph.D candidate Brett Bailey’s multi-year research project. 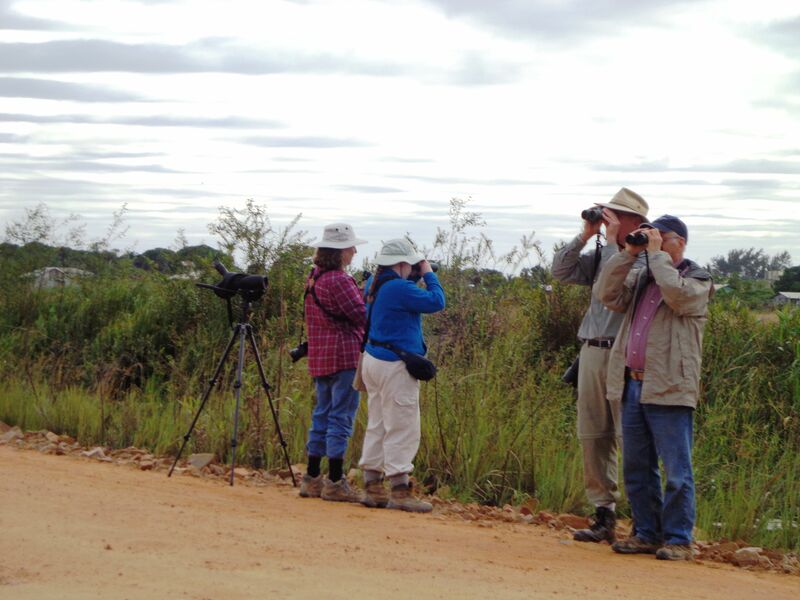 The goal of the study is to identify a suite of birds that can be used to best represent ecosystem health. This information can then be used to guide future management decisions. We had up close views of both new and familiar birds at the banding station. We watched as bands were applied and birds were examined and measured. 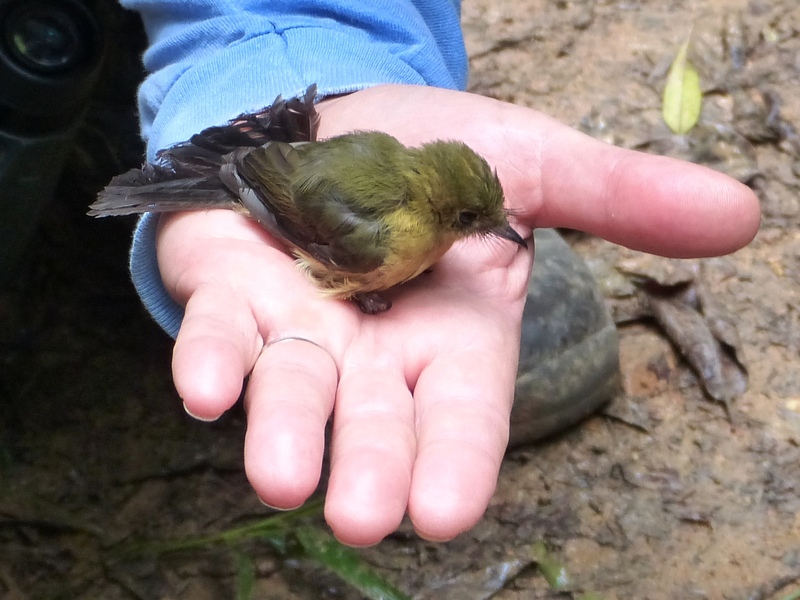 Several of us were able to hold birds in hand for release. 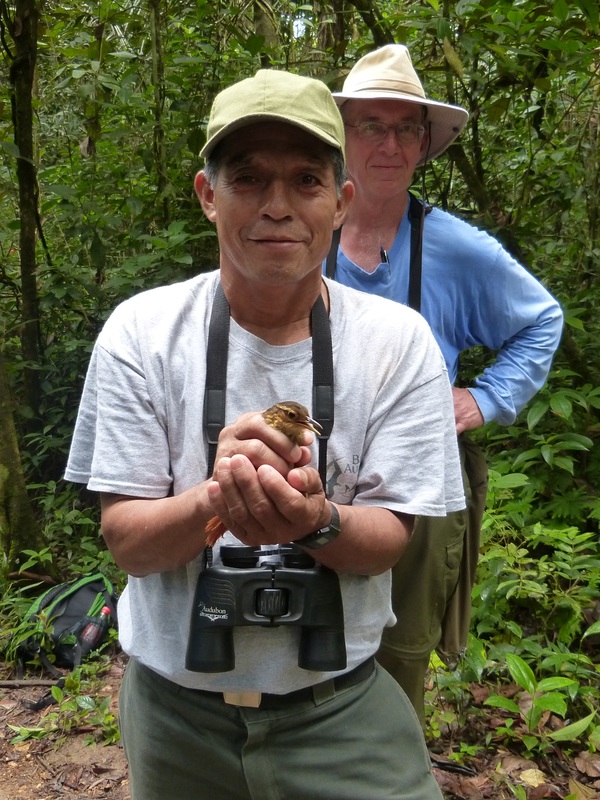 Even Frederico wanted to release a bird, so he was handed the feisty Buff-throated Foliage-gleaner, one of my favorites and a bird that we did not see anywhere else. 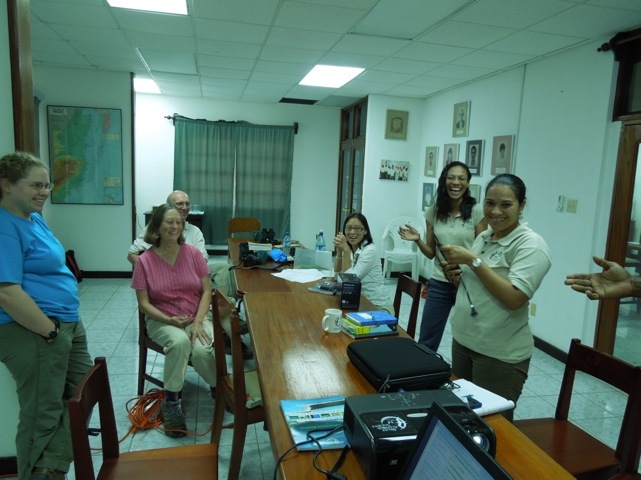 After lunch, Katherine delivered eBird training to another enthusiastic group of Belize Audubon staff members. Afterwards, one of our eBird students, Marvin Casey, hung around watching birds with some of us near a fruit feeder. 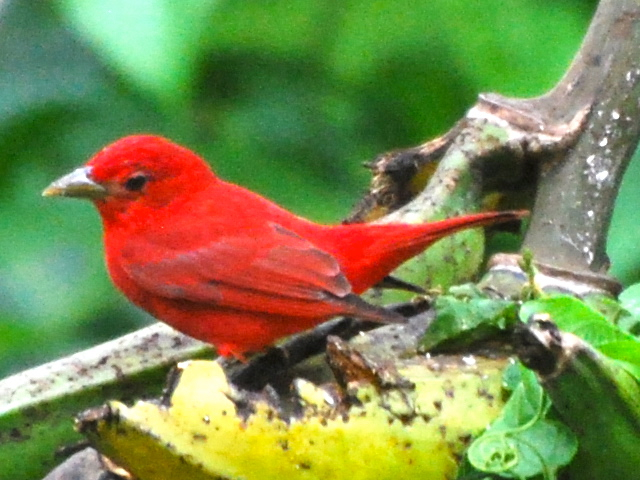 The birds included a gorgeous Red-crowned Ant-Tanager, a life bird for all of us including Marvin. 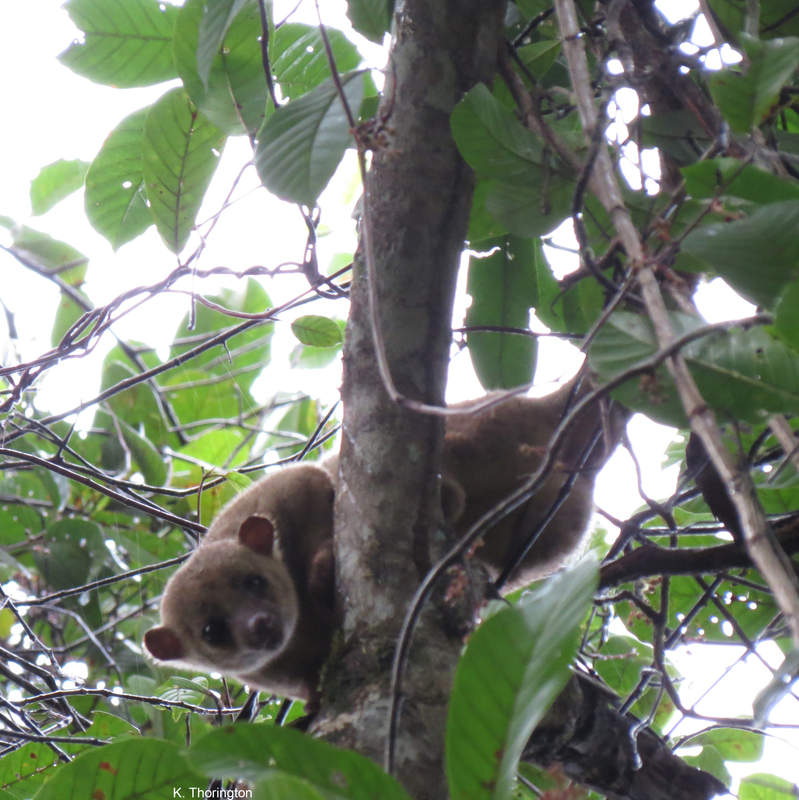 It was late afternoon and we needed to leave, but on our way to the van Marvin spied a Kinkajou in the treetops. Marvin, Katherine, and I all had great looks at the Kinkajou and we wanted to share it with the others. I ran all the way to the van where the group was gathering and breathlessly shouted “Kinkajou, KINKAJOU!! !” Everyone got to see the adorable little mammal with the big eyes, round ears, and long tail, a wonderful end to a long and happy day. 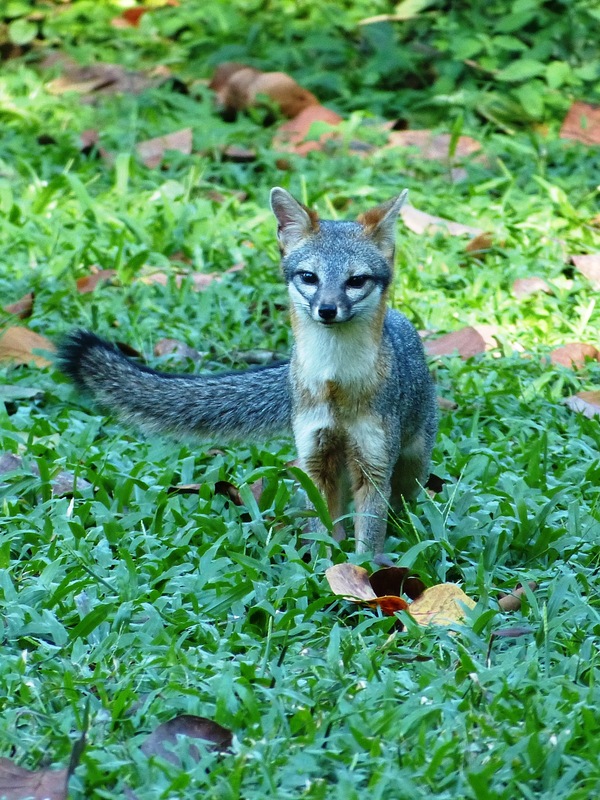 Our mammal list was growing rapidly, with sightings of Peccaries and Gray Fox at Cockscomb in addition to the Kinkajou. 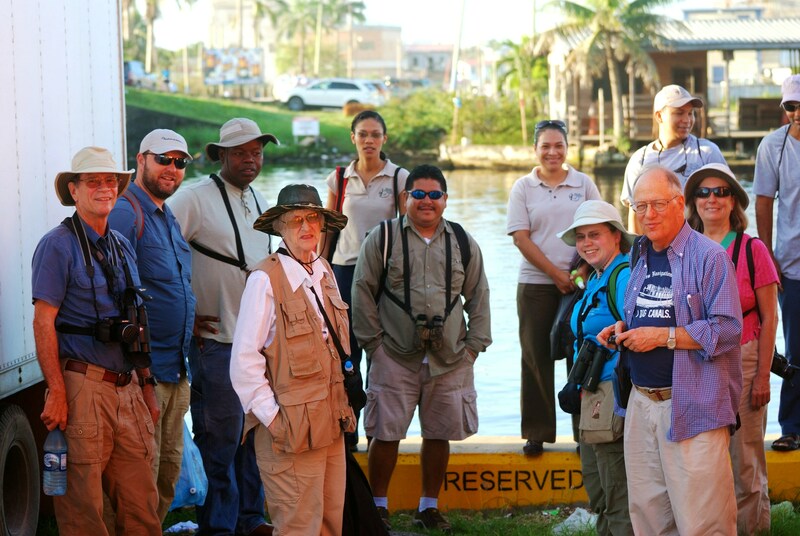 The following morning, we headed to Red Bank with Nicasio, Rebecca, and Dareece from Belize Audubon. 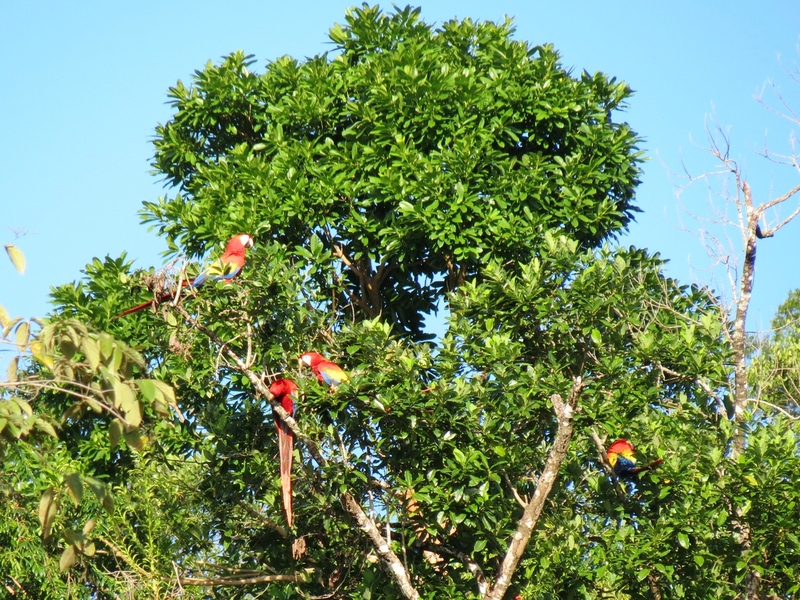 The Scarlet Macaws that I talked about in an earlier post were wonderful and we were thrilled to see them. 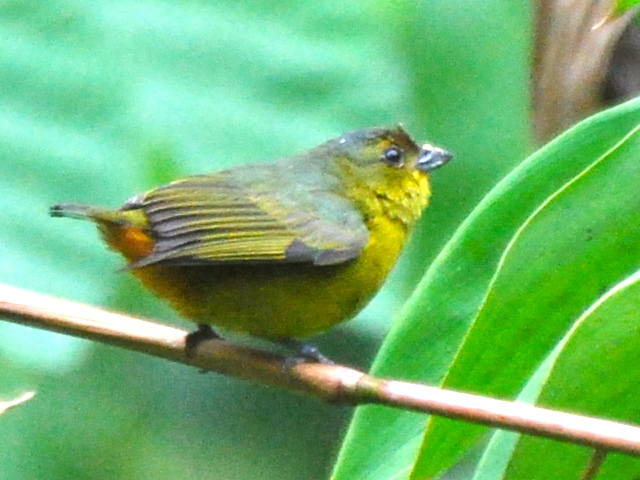 Our climb up the steep mountain trail rewarded us with looks at some gorgeous birds including a male Rose-breasted Grosbeak and a White-collared Manakin. Back on the road, we enjoyed the largest diversity of raptors of the trip – Gray, Short-tailed, Broad-winged Hawks, Common Black-Hawk, and both Black and Turkey Vultures. Also, at Red Bank, I finally had a quality view of a Black-cheeked Woodpecker, a species that was close to becoming a nemesis bird for me. I missed it several times earlier in the trip when everyone else saw it. A walk up the road was fun, too. At one stop by a brush pile, we heard a Common Yellowthroat who responded to our pishing. And, then a cute little Common Tody-Flycatcher popped up right beside him. Jeremy’s most notable experience that morning was another adventure in the mud. We started up a dirt road, but it soon became too muddy to continue. Rebecca skillfully turned the truck around, but Jeremy was not so lucky with our larger, clumsier van. After carefully making a nine-point turn, on point ten – you guessed it – he got stuck in the mud. Once again, our friends pulled our van back on the road. Red Bank is home to a large Mennonite community and we learned a little about their history. 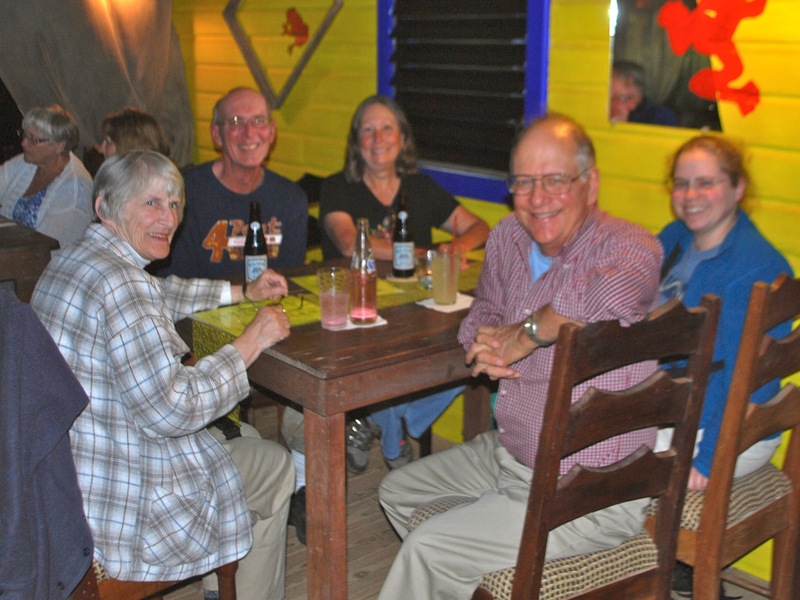 The Mennonites first immigrated to British Honduras in 1958 at the invitation of the government. The country had a history of reliance on imported goods. In exchange for farming, the Mennonites would be granted religious tolerance and exemption from military service. 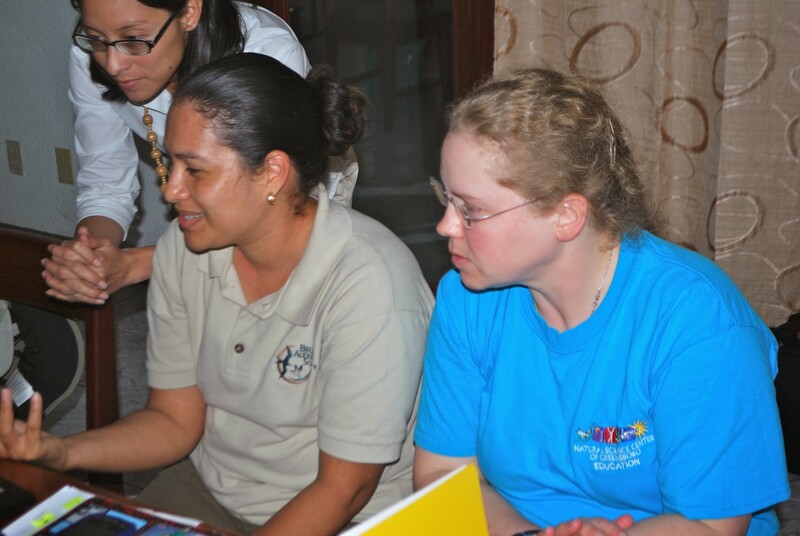 Today they contribute to the Belizean economy, particularly the agriculture sector, with the production of poultry products, eggs, corn, rice, beans, and other produce. 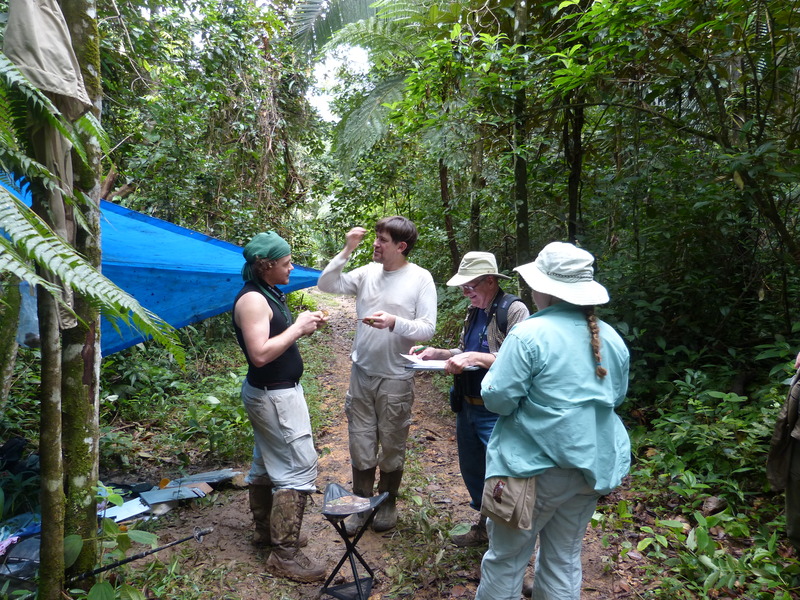 We heard some concern, however, about the vast areas of jungle that the Mennonites are clearing for farming and its environmental impact. One thing that we know for sure, though, is that the Mennonites make great ice cream! After lunch, we went back to Cockscomb and checked out the new birding trail that they are establishing near the Visitor Center. Afterwards, Hooded Warblers hopped around on picnic tables a few feet away while Kitty talked about the Ovenbird that had foraged right at her feet the previous day. 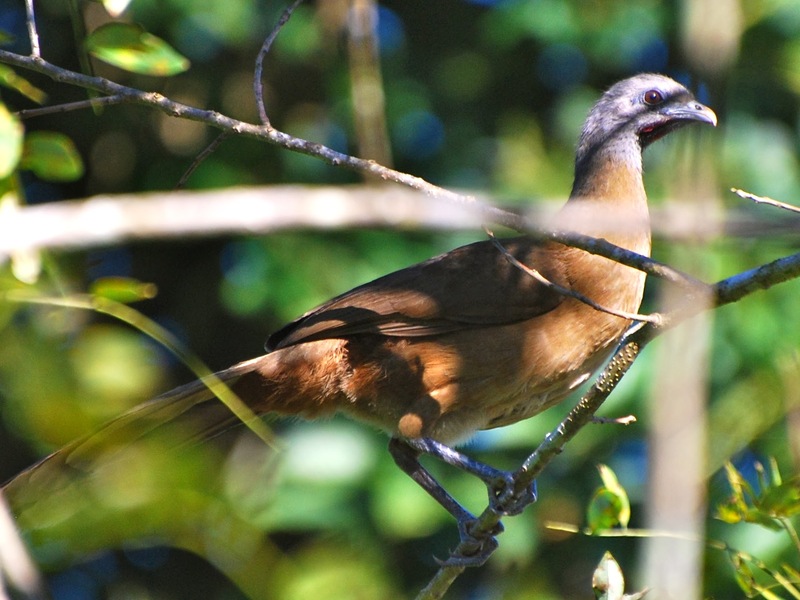 She had not recognized the bird and she could not find it in Birds of Belize. At first, it had its back to her and the main feature that she saw was its ‘white bum’ as it cocked it tail and hopped around looking for crumbs. 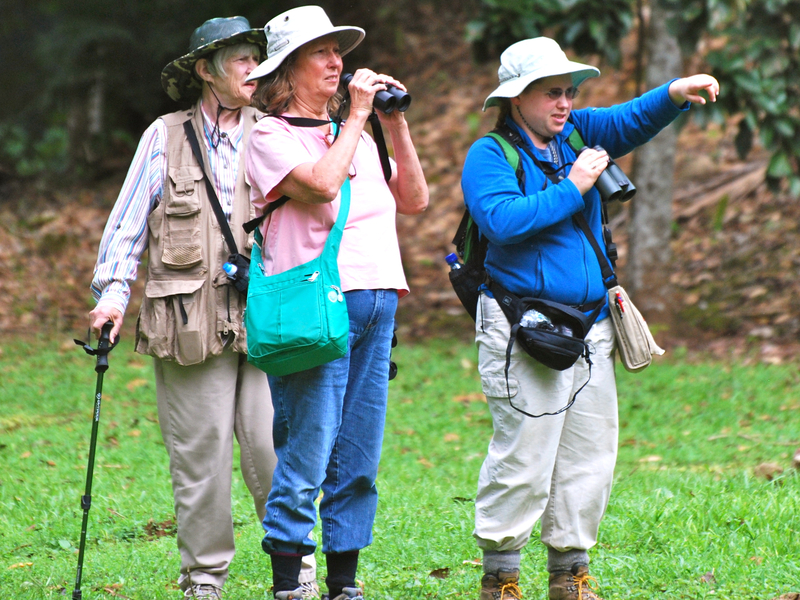 Paying close attention to field marks, Kitty described the bird perfectly, but none of us was able to offer an ID until Jeremy saw the bird, too. ‘White bum’ is not an official field mark. 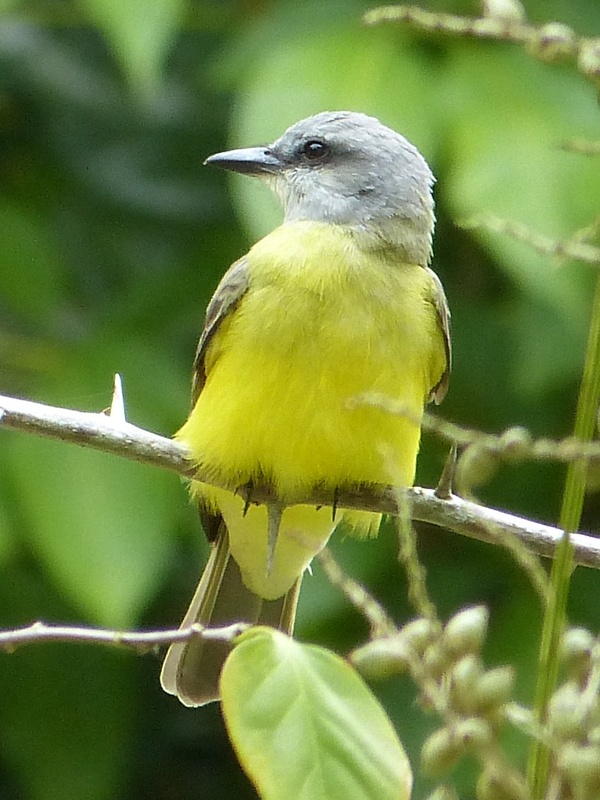 Tropical Kingbirds were seen everywhere. We all loved seeing “our” birds in their winter habitat alongside resident tropical birds. All too quickly our trip was nearing the end. We would have only one more full day, which we would use to explore and bird on our own. 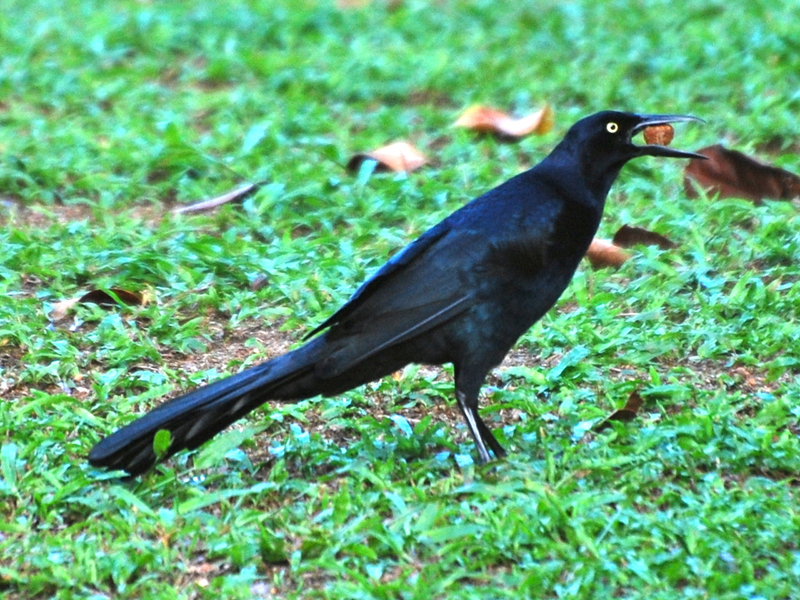 What else would we see in Belize? This is the fourth in a series of five posts. 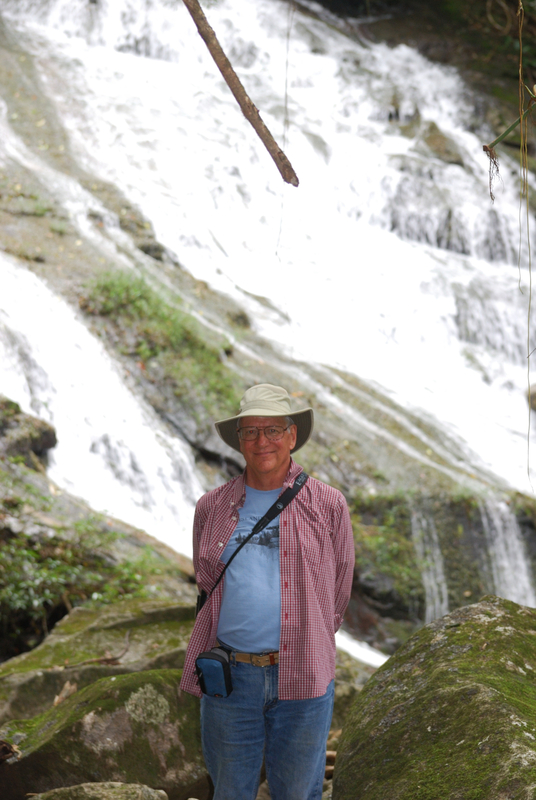 On Tuesday the 14th, it was time to head toward out next destination in Belize – St. Herman’s Blue Hole National Park. Up again at dawn and saying our goodbyes to Matt Jeffery, we drove toward the foothills of the country’s interior. 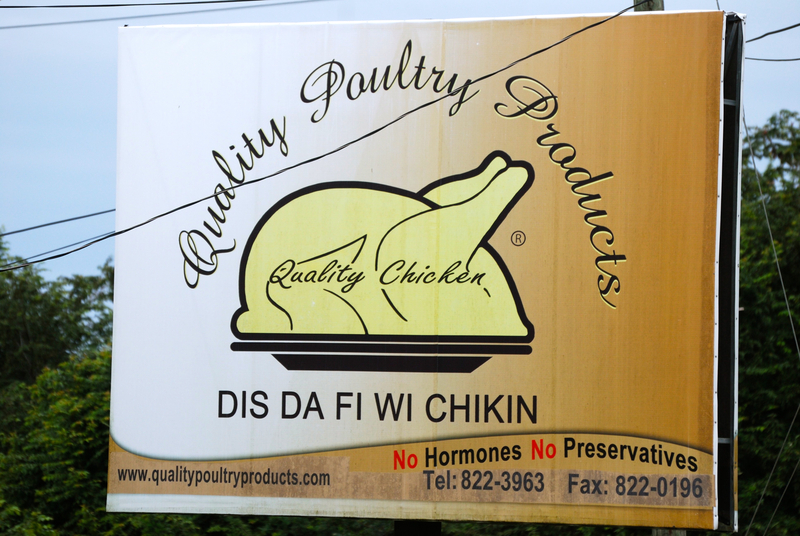 Stopping for petrol in the capital city of Belmopan, we got a kick out of this Kriol chicken billboard. Yes, Kriol not Creole. 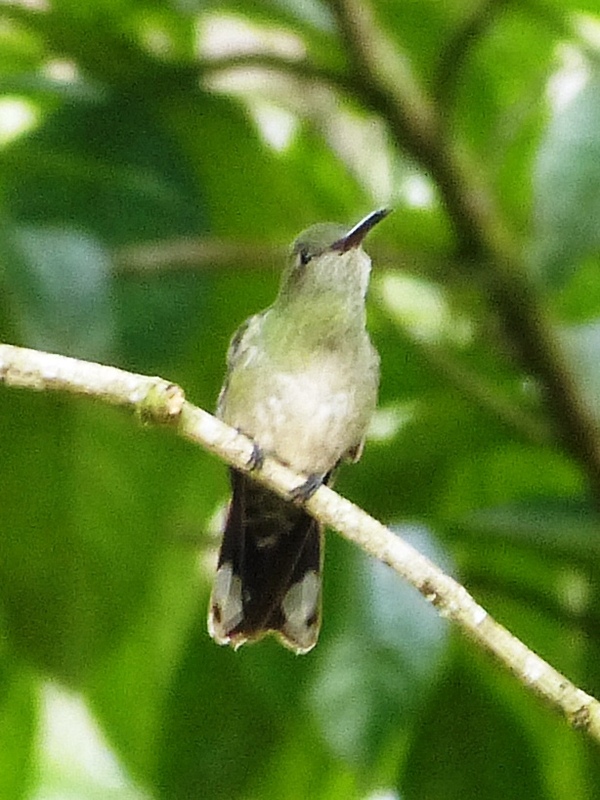 A few miles down Hummingbird Highway, our visit to the park began on an auspicious note when an Emerald Toucanet landed in a tree next to the entrance. Tourists journey to Blue Hole to swim in the azure mountain pool or to go tubing through a large cave carved out of the limestone rock. 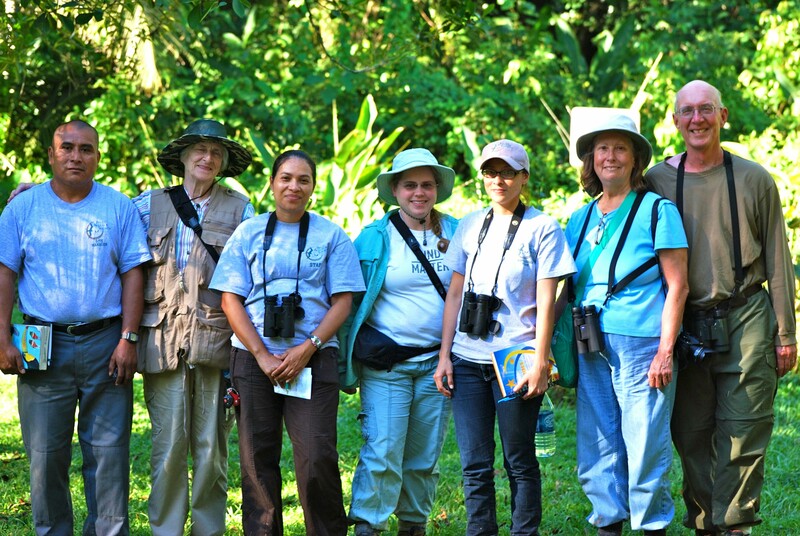 Of course, we were there for the birds and our eBird training session. Israel Manzanero , the senior park warden, was ready to guide us around. We also were greeted by Israel, Jr. and Amanda, who feels proud to be the first and only female ranger in Belize. It took us quite awhile to leave the parking area. Black-hooded Saltators, Black-cheeked and Golden-fronted Woodpeckers, Melodious Blackbirds, a Rose-breasted Becard, a Crimson-collared Tanager and a Yellow-throated Vireo cavorted in a single tree, as our first Wood Thrush hopped along the ground. Had it been to Winston-Salem? As you might expect, Israel had never heard its beautiful summer song. 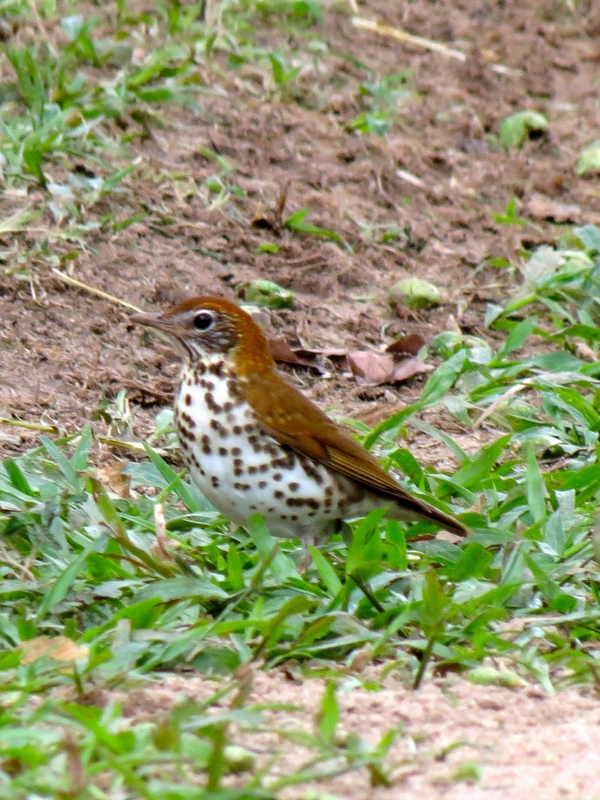 We played the Wood Thrush’s ethereal flute-like song for Israel, and he enjoyed it as much as we do. Our next stop in the park was the pool area. 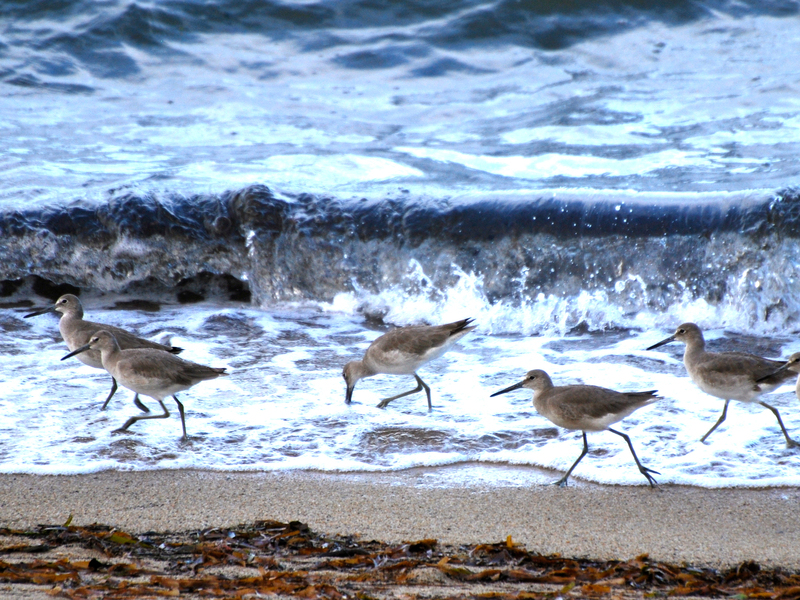 I was ready to jump in but could not persuade my companions to leave the birds. 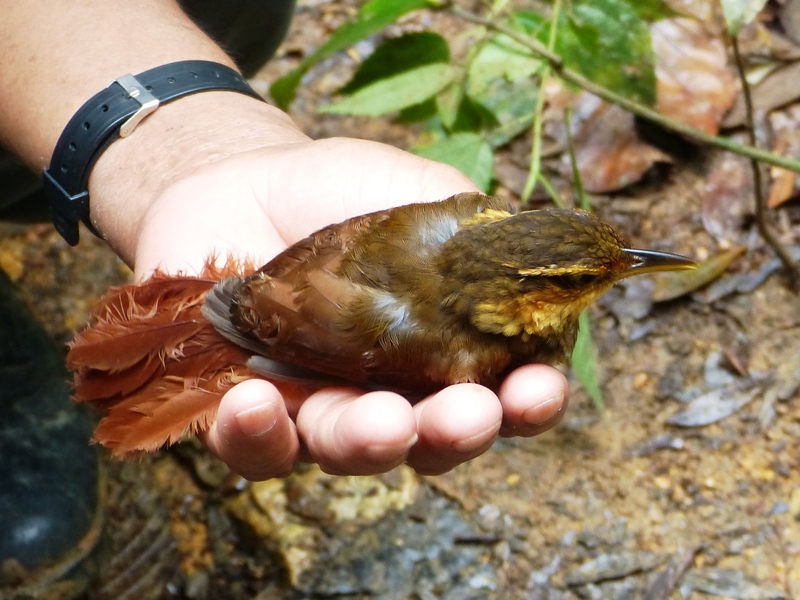 At a small clearing, we watched a pair of Red-throated Ant-Tanagers, Ivory-billed and Olivaceous Woodcreepers, another Wood Thrush and several warblers search for insects. 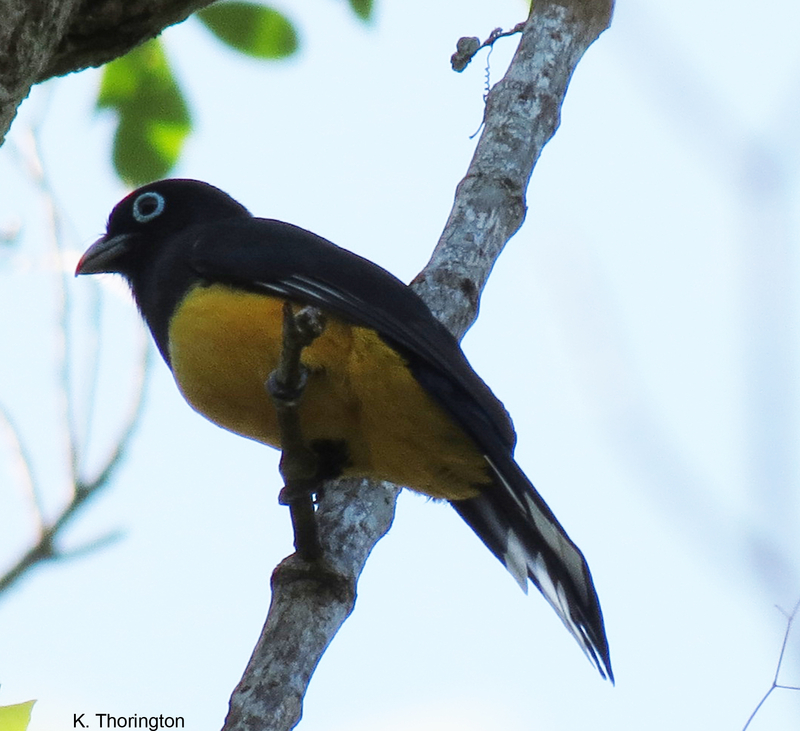 A larger bird flew into a nearby tree, and the tail pattern showed it was a female Black-headed Trogon. 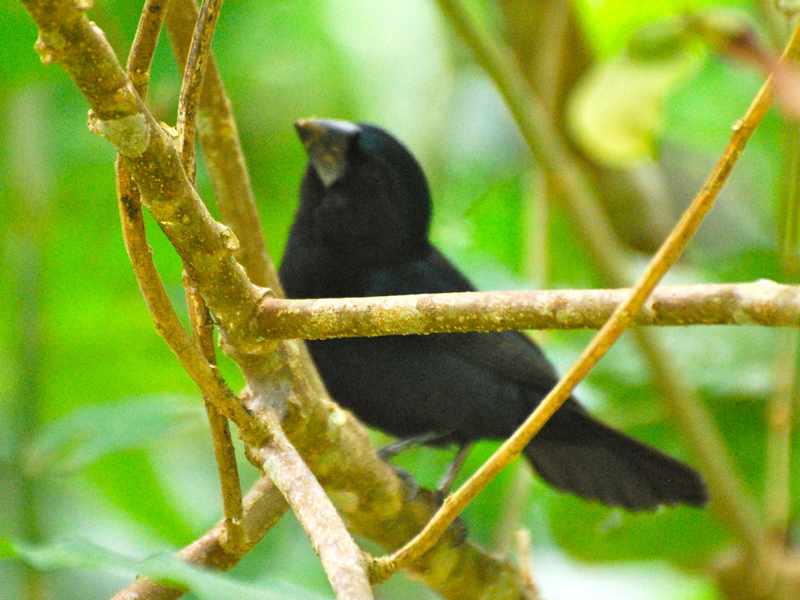 Many birds called along the trail to the cave, although the dense foliage often made them impossible to see. Israel pointed out the songs of the Spot-breasted Wren, Dot-winged Antwren and others, but we weren’t ready to add them to our life lists by sound alone. Three King Vultures soaring high overhead were another matter. 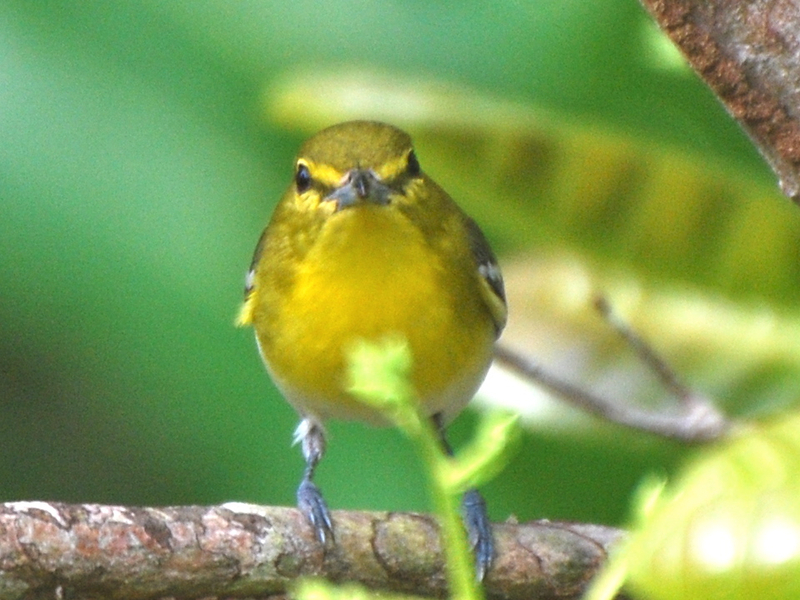 Closer to eye level, Tropical Pewee, Ochre-bellied Flycatcher and Yellow-olive Flycatcher patiently waited for food. 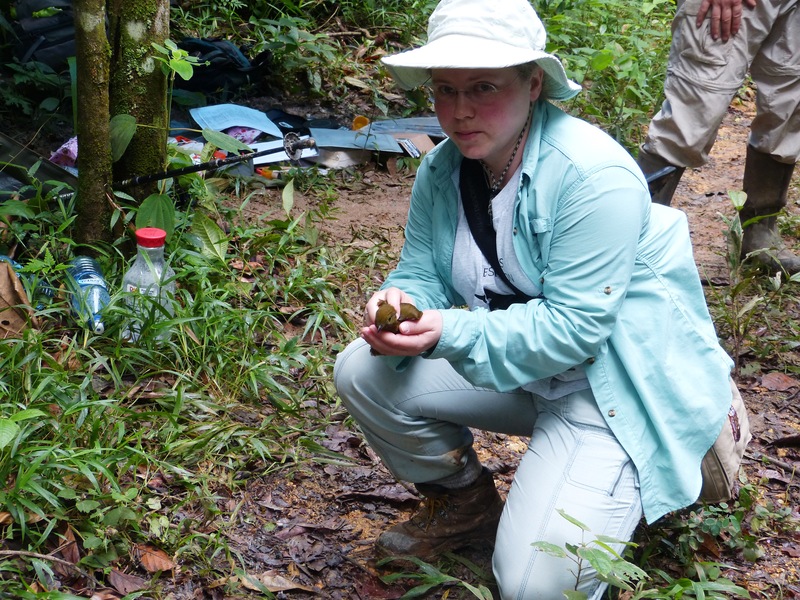 However, we had to keep one eye on the ground, too, to avoid stepping on Leafcutter or Army Ants. 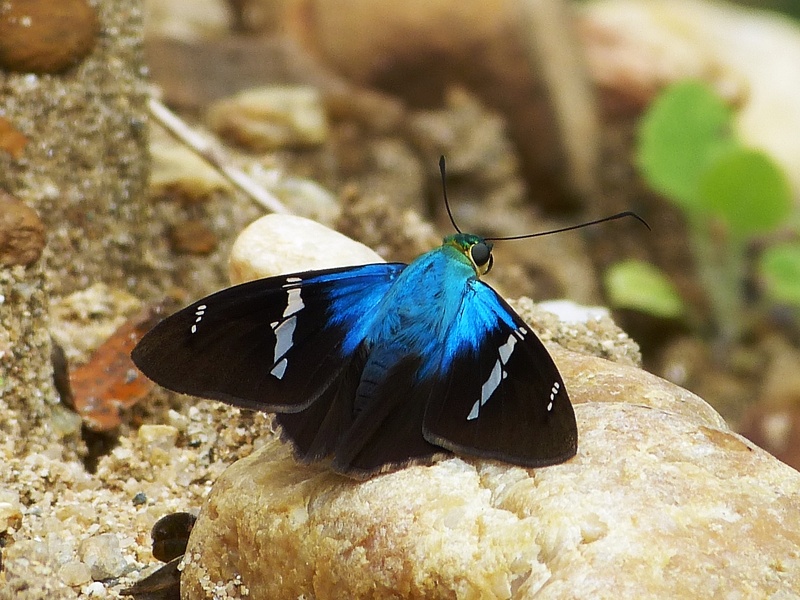 And, the butterflies were spectacular – a giant Blue Morpho, Owl, Isabella’s Heliconian and Banded Peacock, among others. 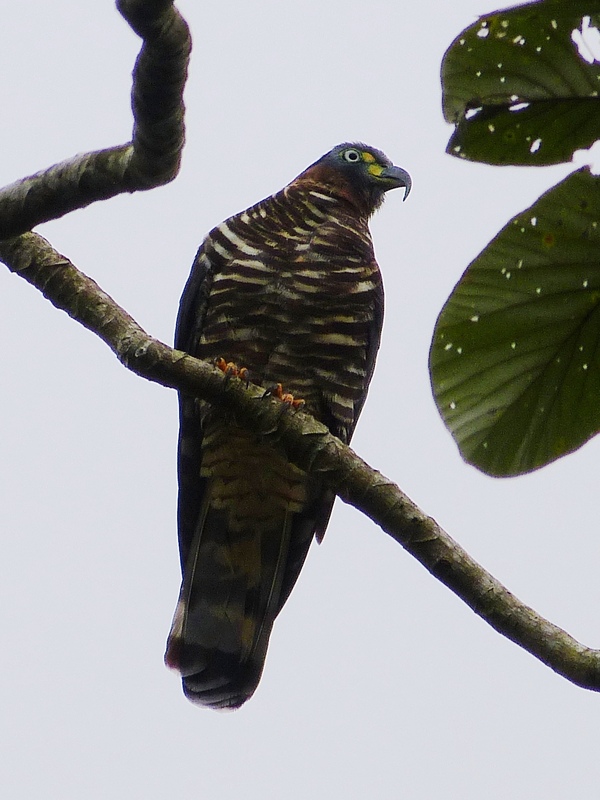 My award for most aptly named bird goes to the Roadside Hawk. 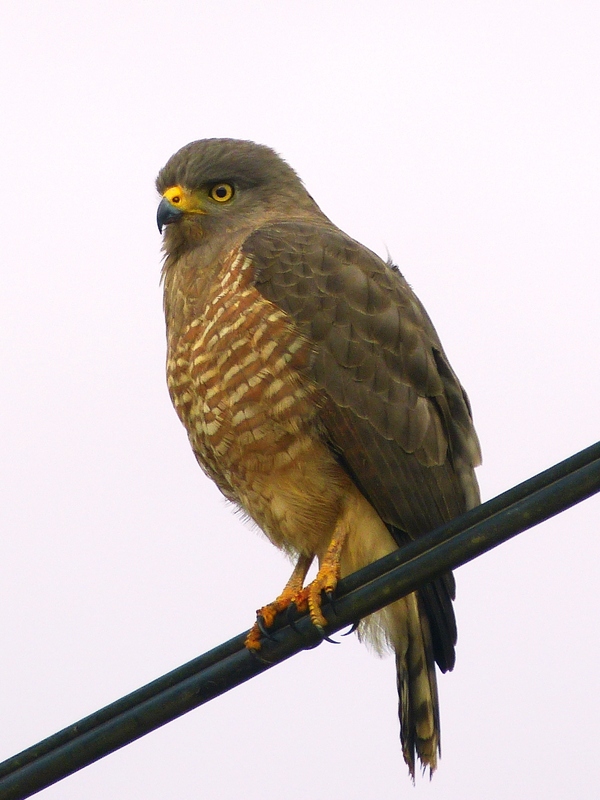 Every few miles, we saw them perched on utility wires. One provided a nice photo-op at a Mennonite ice cream store not far from Blue Hole. 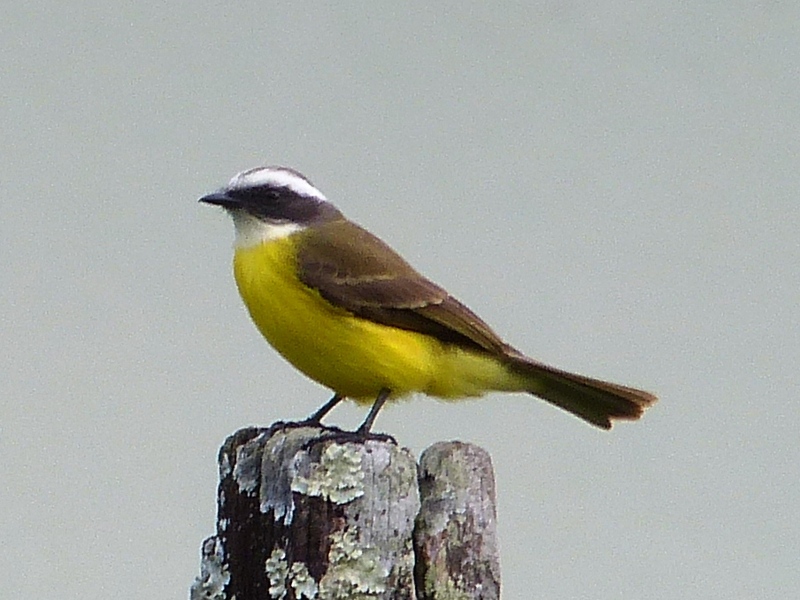 Other common roadside birds included Tropical Kingbird, Tropical Mockingbird, Great Kiskadee and White-collared Seedeater. We saw these everywhere. 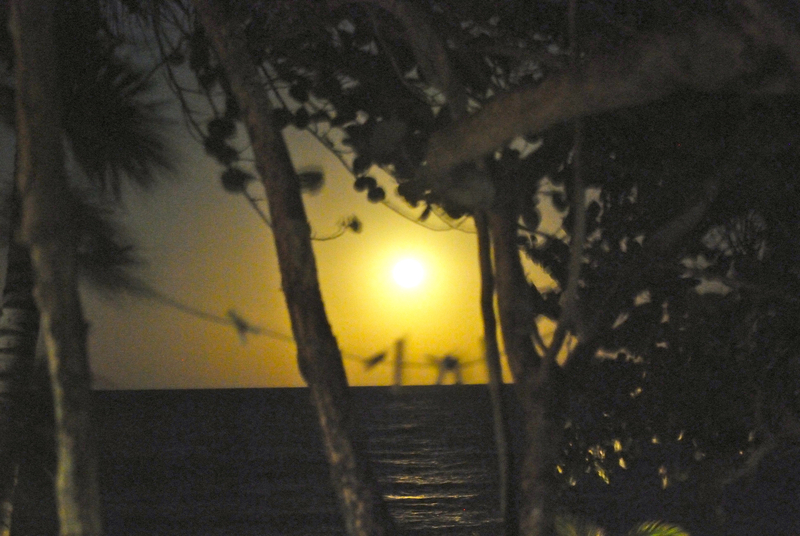 It was late afternoon by the time we drove down the unpaved, pothole-filled main drag of Hopkins and reached our beachfront accommodations at Jungle Jeanie By the Sea. Some people just wanted to relax or stroll on the beach. Shelley and I, of course, ignored our fatigue and set off to find more birds. 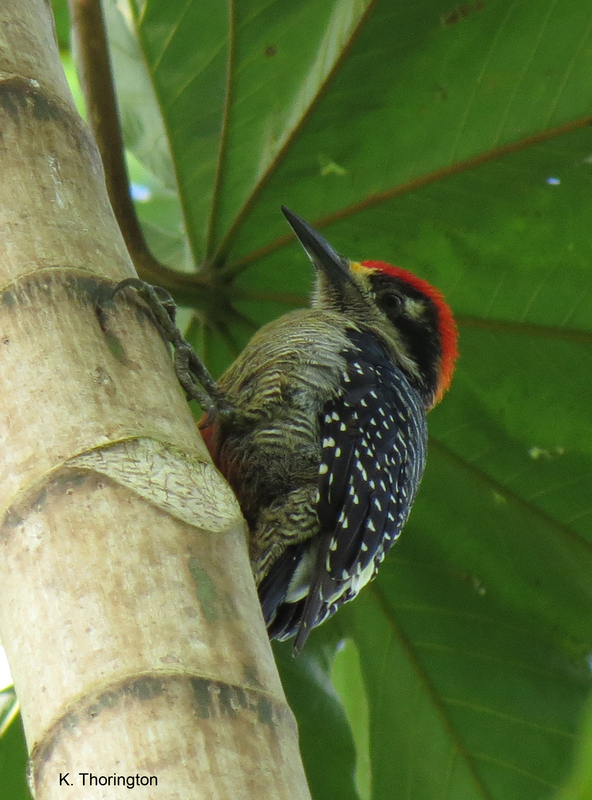 Encounters with more potholes and lots of mud were worth it, when we spied a pair of Bat Falcons and some fruit-devouring Yellow-winged Tanagers. 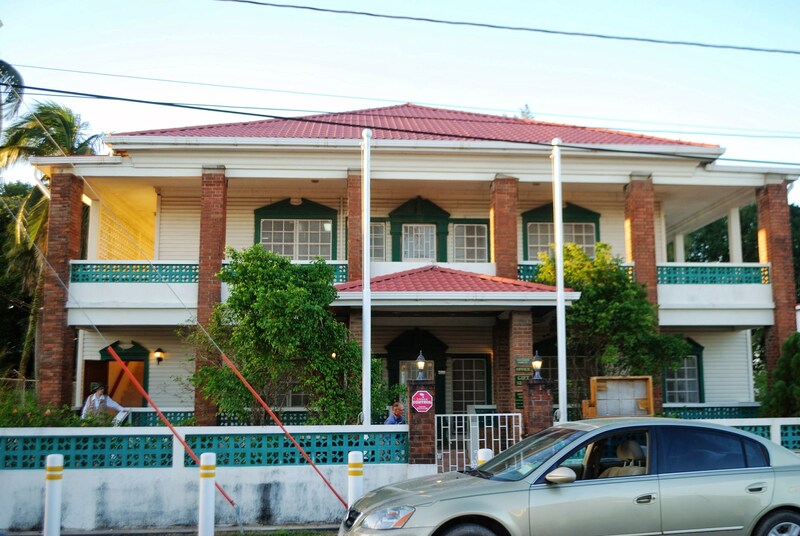 With night falling, we hurried back to join the others at Innie’s Restaurant, featuring seafood dishes of the local Guaranu people descended from African slaves. Kitty still raves about her Fish Tea chowder. Under a tropical full moon, we slept well that night even with the anticipation of exploring Cockscomb Basin Wildlife Sanctuary in the morning. This is the third in a series of five posts.